When planning a wedding in Upstate New York, there is no shortage of beautiful and historic venues to choose from. However, if the Adirondacks is the destination of your choice, one venue that truly stands out is the historic Sagamore Resort. This luxury resort was built in the late 1800s and has become one of the premier wedding destinations in the area. Located on a private island on Lake George, The Sagamore Resort is simply breathtaking and showcases the Adirondack Mountains surrounding the lake. The views alone make the Sagamore a perfect location for outdoor wedding ceremonies and receptions. The ceremony space overlooks Lake George; you would be hard-pressed to find a more magnificent view. For your wedding reception, the Shelving Rock Terrace is another absolutely beautiful space on the Sagamore property that has a spectacular view of the lake. A versatile space, the Shelving Rock Terrace can accommodate up to 175 of your guests and can easily be customized to reflect the theme of your event. 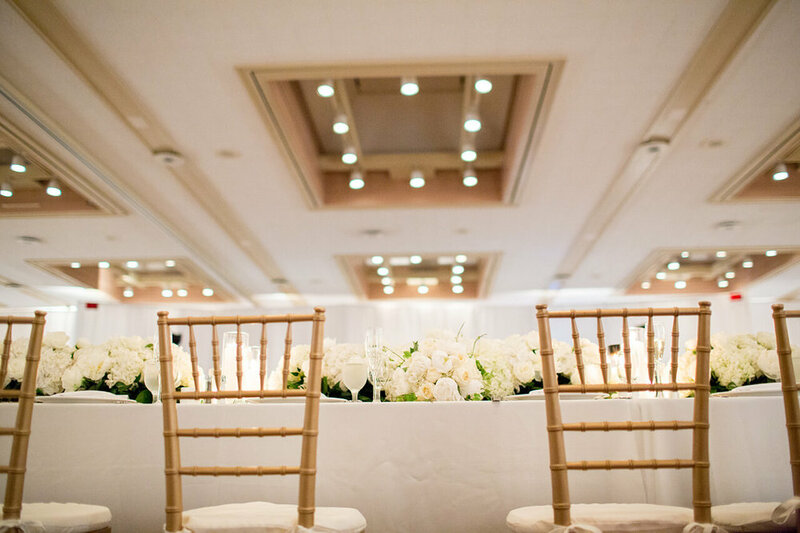 Alternately, if your wedding consists of more than 175 guests, the Sagamore’s conference center ballroom can accommodate up to 600 guests, which makes it ideal for larger groups! Aside from the fabulous wedding accommodations, the Sagamore Resort is a destination in itself for your guest to enjoy. They offer award winning dining, an 18-hole golf course, a state-of-the-art spa, and of course, various lakeside activities. The Sagamore is a popular destination for Capital Region guests as well as out of town visitors, both of whom will be treated like royalty by the phenomenal staff at the resort. Total Events owns a custom liner specifically for the tent on the Shelving Rock Terrace, as well as chiffon ceiling swags, and bistro bulb lighting. Our team fully understands the details of the space so you can be sure that your event is perfect. However if you’re hosting your event in the Sagamore’s ballroom, we feature our floor to ceiling drapery with a dramatic color wash of LED lighting. Planning your next event at the Canfield Casino? Contact us today to start your #TotalEventsTransformation!